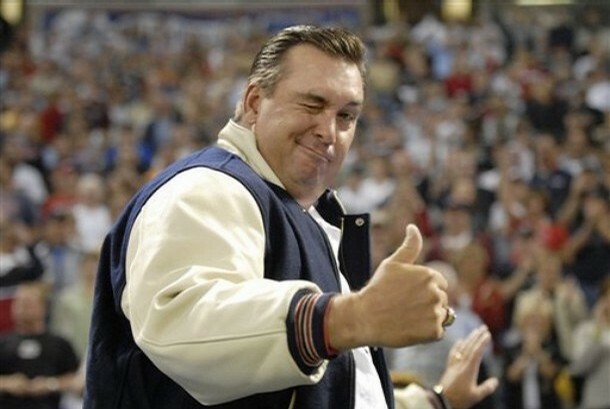 Hrbek to Blame for Increase in Ticket Prices | That's Twins Baseball. A Minnesota Twins Blog. If you’ve gone online lately to buy Minnesota Twin’s tickets, you’ve probably noticed a slight increase in prices. Everyone’s been shelling out the extra money to see Mauer and company play in their new ballpark, but that’s not what you’re actually paying for. “We have to get the money from somewhere for Herbie’s statue that we’re going to be erecting at Target Field.” said Jerry Bell, President of Twins Sports Inc. “Copper isn’t cheap nowadays and I couldn’t talk Jim (Pohlad) into a statue of Kent’s physique when he played. Jim’s such a big fan of KHO that he wants the statue molded after Hrbek today, possibly holding a gun, which would also scare the pigeons away.” We asked if management had looked into any other ways to pay for the statue and Jerry told us “We thought about ‘Bring a Penny to the Game’ day, but did you know that pennies don’t actually contain that much copper? And I’m not allowed to talk about the incident with Tim Laudner and Al Newman breaking into the Metrodome to steal all the copper wiring.” So it would appear that Twin’s fans will just have to get use to the slightly higher prices. It really is a small price to pay for what’s sure to be a beautiful sculpture, but let’s hope with John Rauch’s recent success that his statue isn’t next. 1991 World Series Commemorative T-shirt: What Would Kent Hrbek Do? Twins Planning GB Leighton Demolition Night?